Tri-County North coach Justin Tucker talks to his team during the a game with Mississinawa Valley on Monday, March 26. 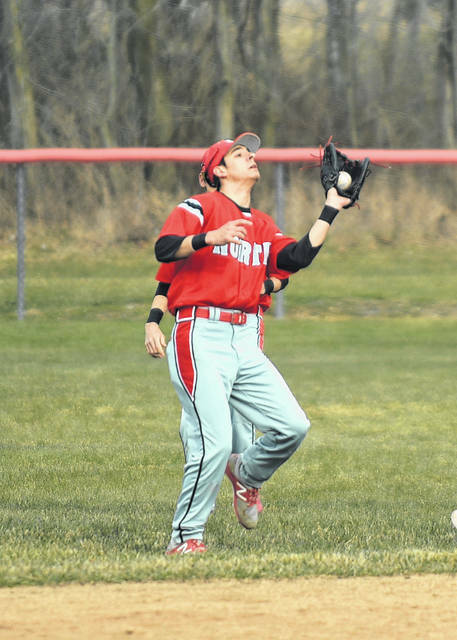 North fell to the Blackhawks, 8-0, but bounced back with a pair of wins over Valley View, 10-8 and 9-3 on Saturday, March 31. 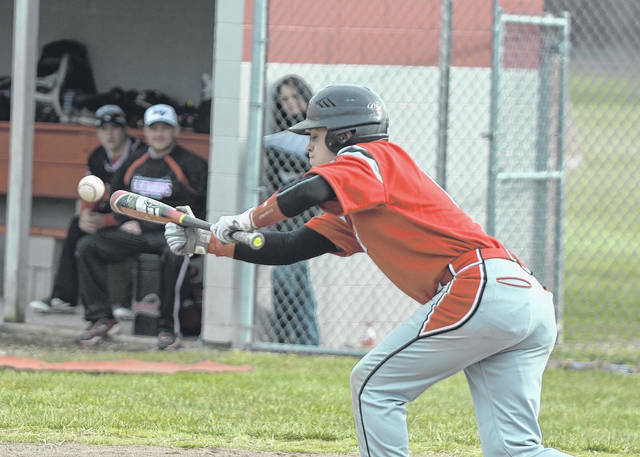 LEWISBURG — Tri-County North’s baseball team won two of three games during the first week of the season. The Panthers played non-conference games against Mississinawa Valley and Valley View. 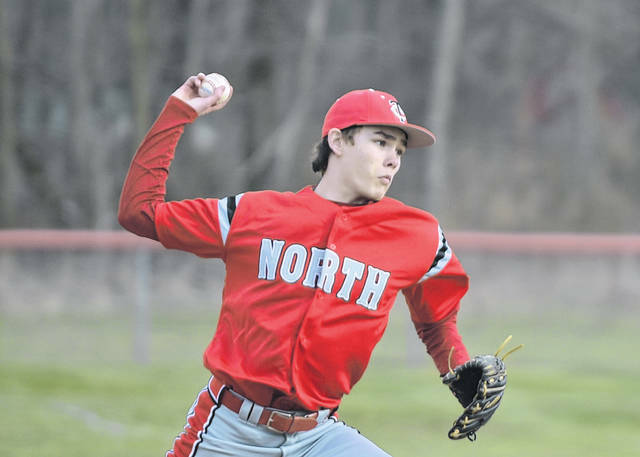 North managed just three hits and fell to MV, 8-0, on Monday, March 26. The game was scoreless until the fourth, when the Blackhawks pushed a run across. MV put the game out of reach with a seven-run seventh inning. Phillip Lockwood was 1-for-3 with a double for North, while Jacob Isaacs and Clayton Finney each added a hit. On Saturday, North hosted Valley View and won 10-8 and 9-3. 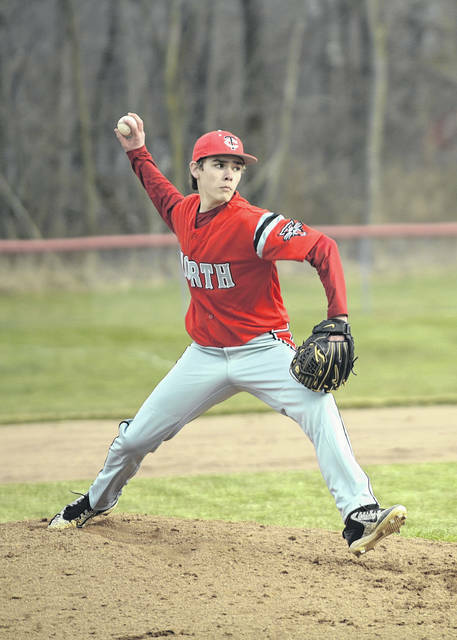 Despite seeing its six-run lead whittled down late in the game, North held off Valley View for a 10-8 victory on Saturday in game one of the doubleheader. Chandler Sproles led the Panthers by driving in four runs. He went 2-for-3 at the plate. Sproles drove in runs on a single in the second, a single in the third, and a sacrifice fly in the fourth. North pulled away for good with four runs in the second inning. In the second, Sproles singled on a 0-2 count, scoring a run. Valley View scored three runs in the sixth inning. Collin Whipp earned the win for North. He pitched five innings, allowing five runs on five hits and striking out one. Lockwood and Matthew O’dell entered the game in relief and helped to close out the game in relief. O’dell recorded the last out to earn the save. North racked up nine hits on the day. Jacob Isaacs, Liam Downing, and Sproles all collected two hits. In the first couple of innings of game two, North got its offense on track. Casey Whipp drew a walk, scoring a run. The Panthers tallied four runs in the second inning as Whipp, Finney, and Lockwood each had RBIs. Sproles picked up the win tossing three innings, allowing no runs on two hits, striking out five and walking one. O’dell and Finney entered the game in relief and helped to close out the game in relief. O’dell recorded the last nine outs to earn the save. North racked up ten hits in the game with Whipp, Lockwood, Curtin, and Isaacs each collecting two hits each. 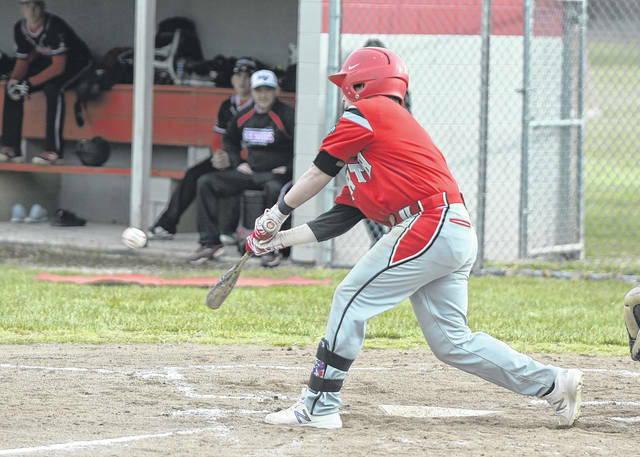 The Panthers (2-1) were scheduled to play Franklin-Monroe on Tuesday, April 3. The Panthers will battle MV in a conference game on Thursday and will host Arcanum on Friday. North will close out the week with a trip to Franklin on Saturday. 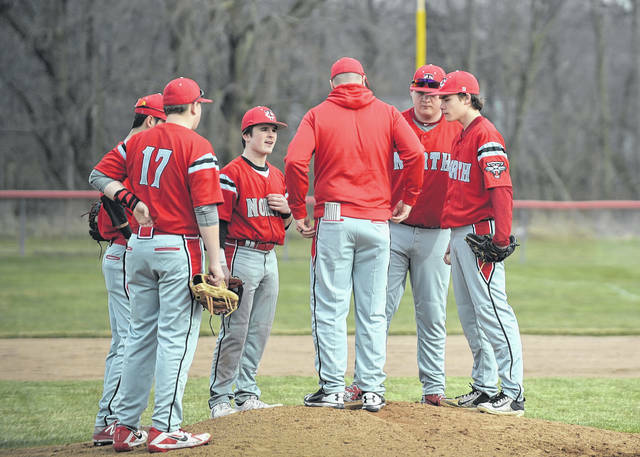 https://www.registerherald.com/wp-content/uploads/sites/41/2018/04/web1_tcnbb1.jpgTri-County North coach Justin Tucker talks to his team during the a game with Mississinawa Valley on Monday, March 26. North fell to the Blackhawks, 8-0, but bounced back with a pair of wins over Valley View, 10-8 and 9-3 on Saturday, March 31.